As you know, vanities have a very important function for every bathroom. Both from a functional point of view and for the impression that they make upon visitors. 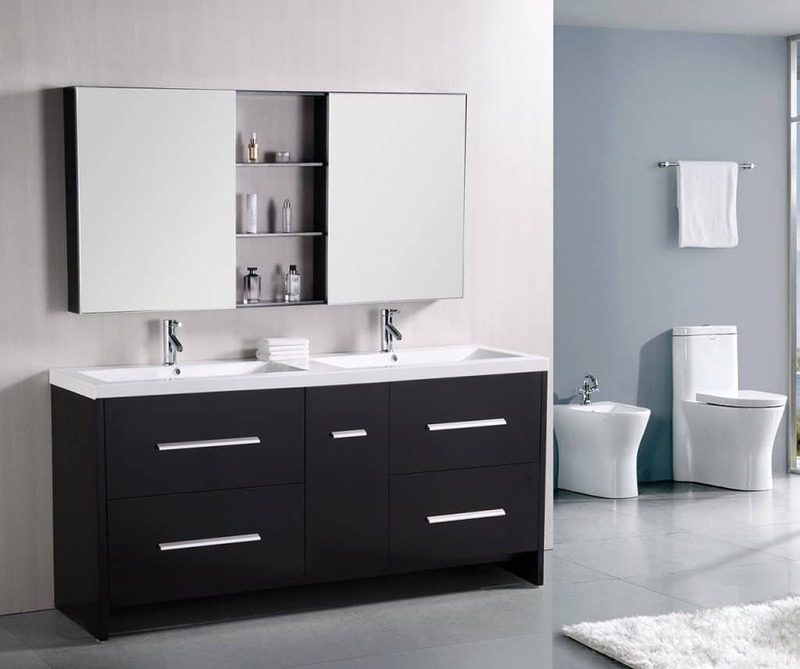 If you want to maximize the appeal of your bathroom, you should choose your vanities wisely. 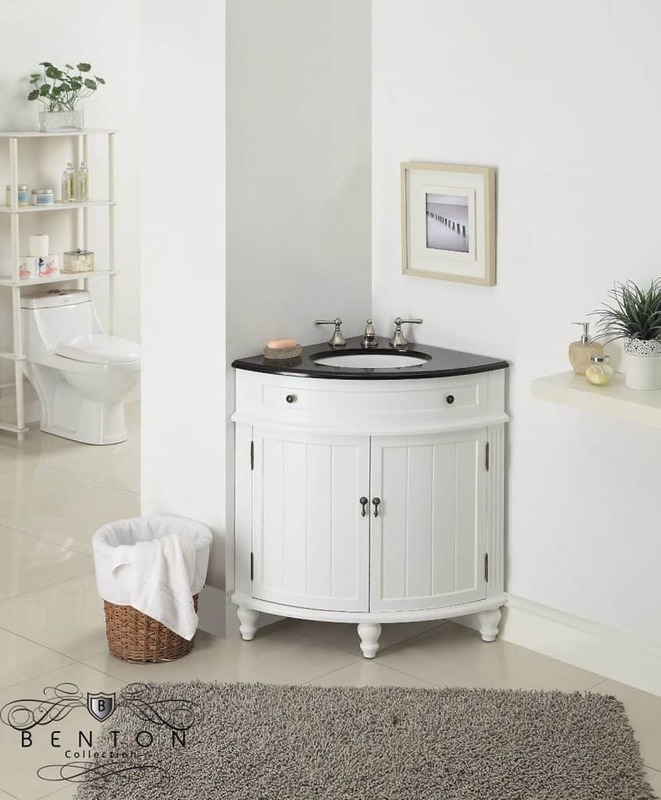 There are many varieties and styles of bathroom vanities that you can choose from. 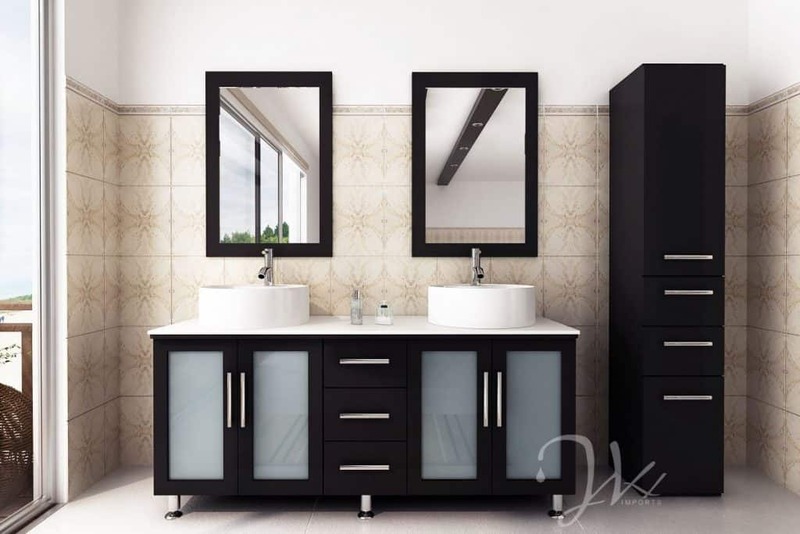 You should consider smaller vanities for smaller bathrooms, in order to make the most efficient use of space. Good design should mean that a small size will not prohibit the storage of towels, mats and other bathroom essentials. 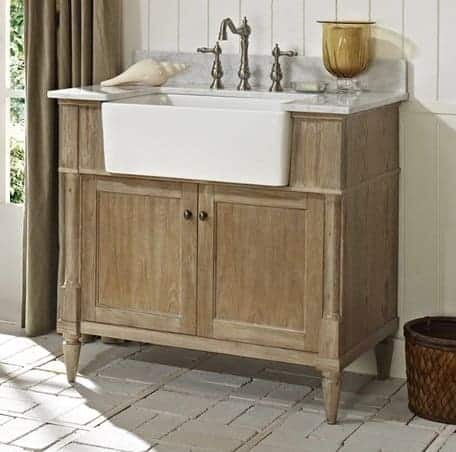 Before your embark on your next bathroom remodel, give yourself the gift of time to peruse the various styles of bathroom vanities that are available. 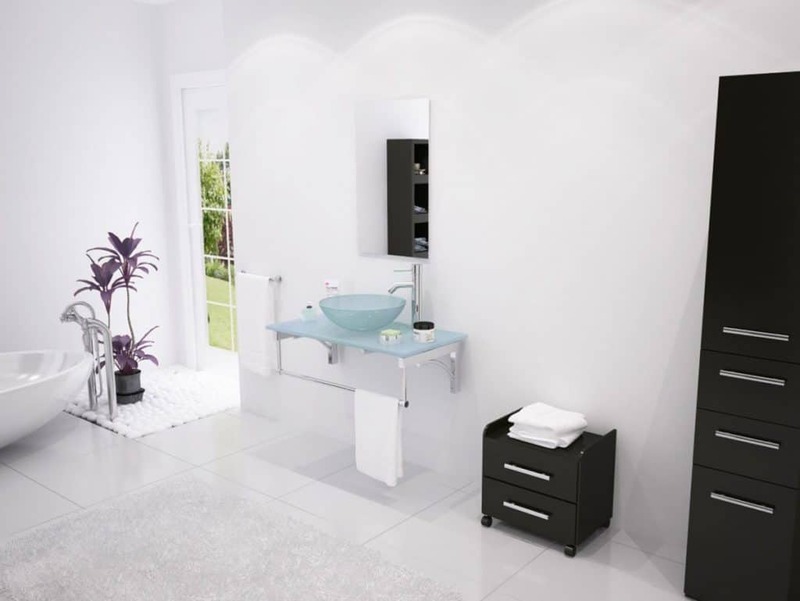 A contemporary vanity can add a sense of sophisticated depth to your bathroom space. The characteristics of a contemporary vanity. 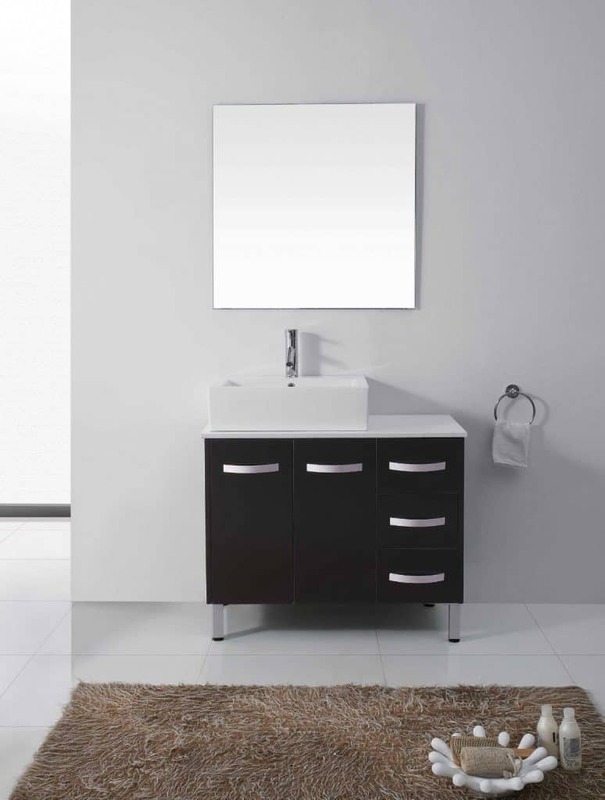 Keep in mind that the naturalism and simplicity of contemporary vanities are in direct contrast to traditional elements. They usually echo a vastly more vintage, historic style and are big on adornments in look and function. All of the vanity’s elements of the contemporary style work together harmoniously. They create an efficient yet upscale look, and a classically austere feel. 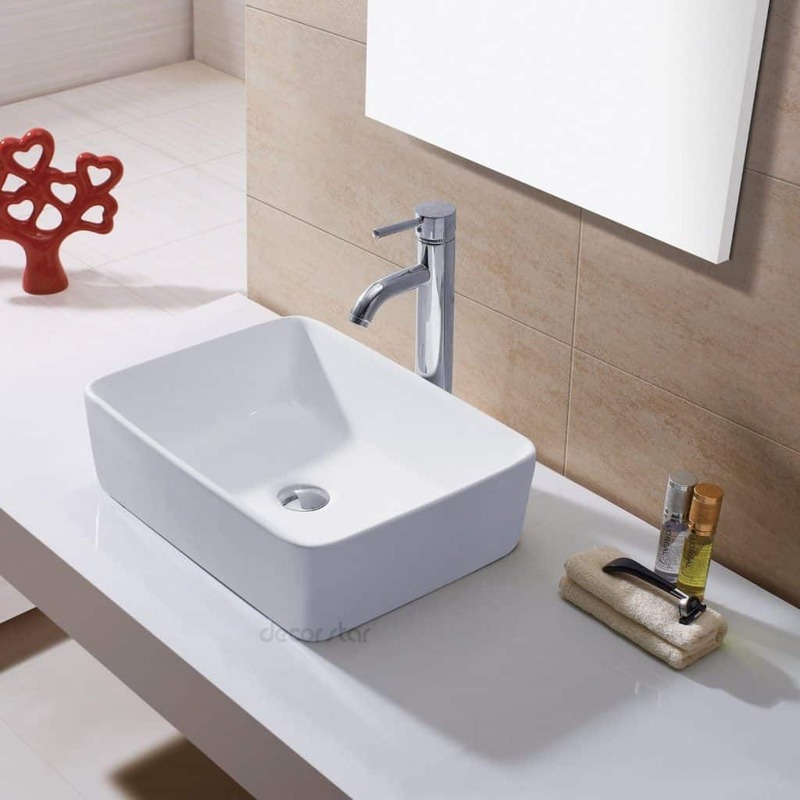 No bath is too big or too small for contemporary bathroom vanities! They can be used in various bathroom sizes and shapes. 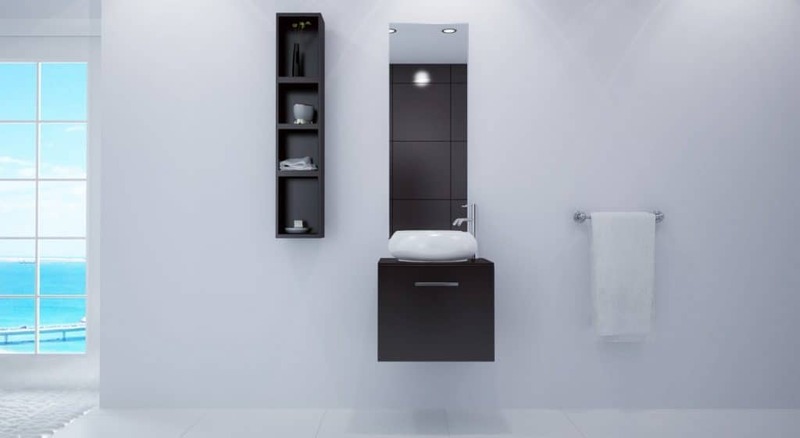 In smaller bathrooms, the minimalist aspect of contemporary design will make efficient use of the less abundant space. 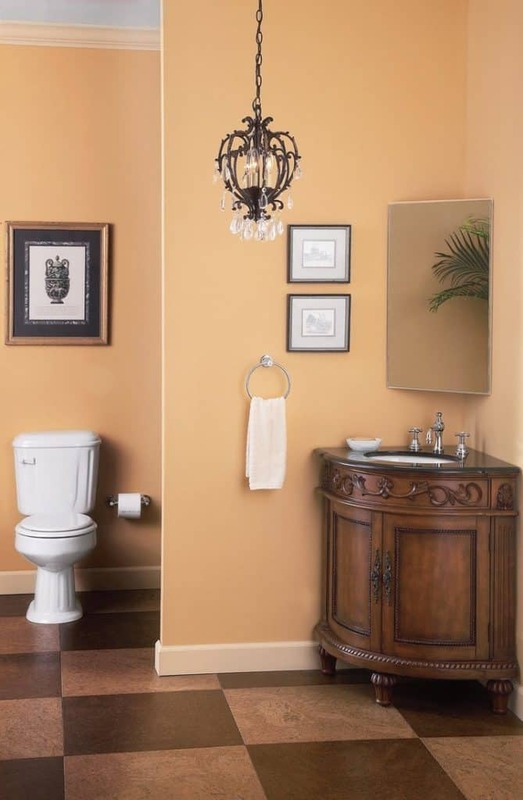 This style is extremely effective in creating a pleasant and inviting smaller bathroom. It efficiently uses space and actually can make the bathroom feel larger than it really is. But Great for Big Bathrooms too! In a roomier bathroom space, the simple elegance of the contemporary design and materials can create a soothingly spacious feel, an almost spa-like atmosphere. Imagine having such a retreat right in your own home! 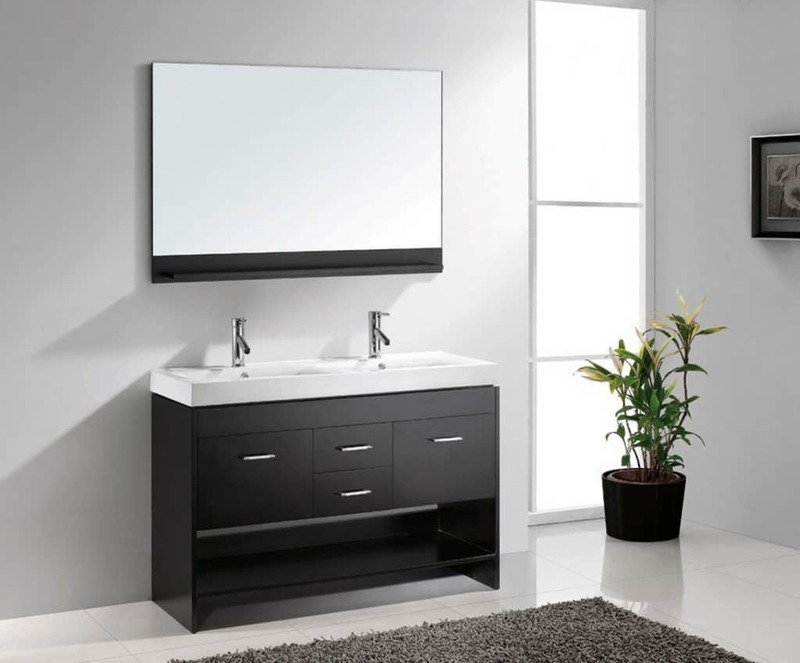 Regardless of the size of your space, the contemporary vanity’s clean lines offer the benefit of space-saving efficiency. 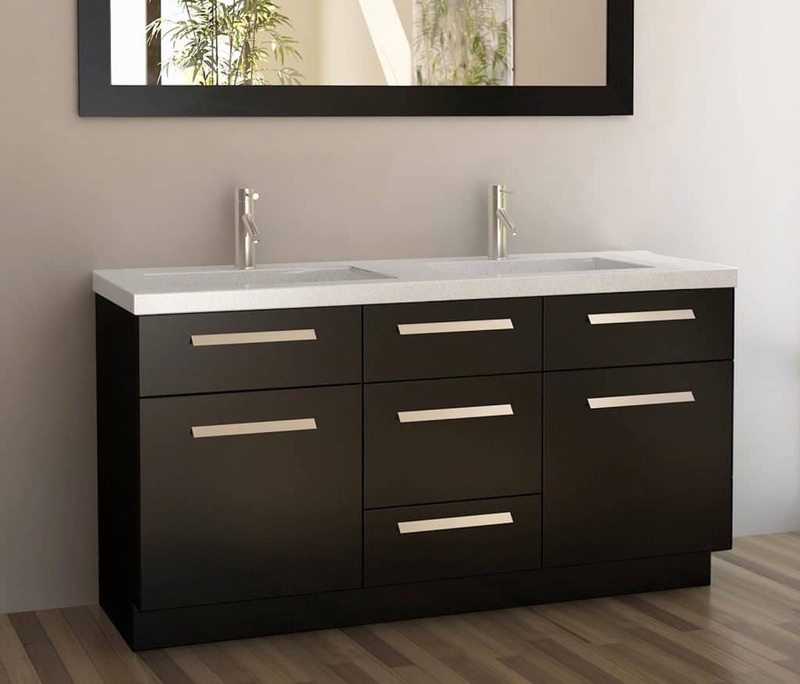 Many of the vanity designs you’ll encounter feature thoughtfully designed drawer and cabinet systems for maximum storage. And no matter the size of your bath, the choices of materials in contemporary bathrooms are truly inspired. Natural woods, concrete or natural stone countertops, and modest metal or stainless steel are often used in modern design. These materials complement the look of modern furnishings. They also have the benefit of being highly preferred and desirable material choices for the times in which we currently live. Much like the size of your bathroom, the size of your budget does not necessarily dictate your choices of contemporary bathroom vanities. If you’re on a budget, take heart, with a little footwork, creativity, and elbow grease, you can create the modern look you’re craving. For example, you can often find old, mid-century dressers, buffets, or credenzas at secondhand shops, antique stores, or even yard sales. You can usually buy furniture at these places for a song! And with a bit of conversion work, that old dresser can make an amazing bathroom vanity. 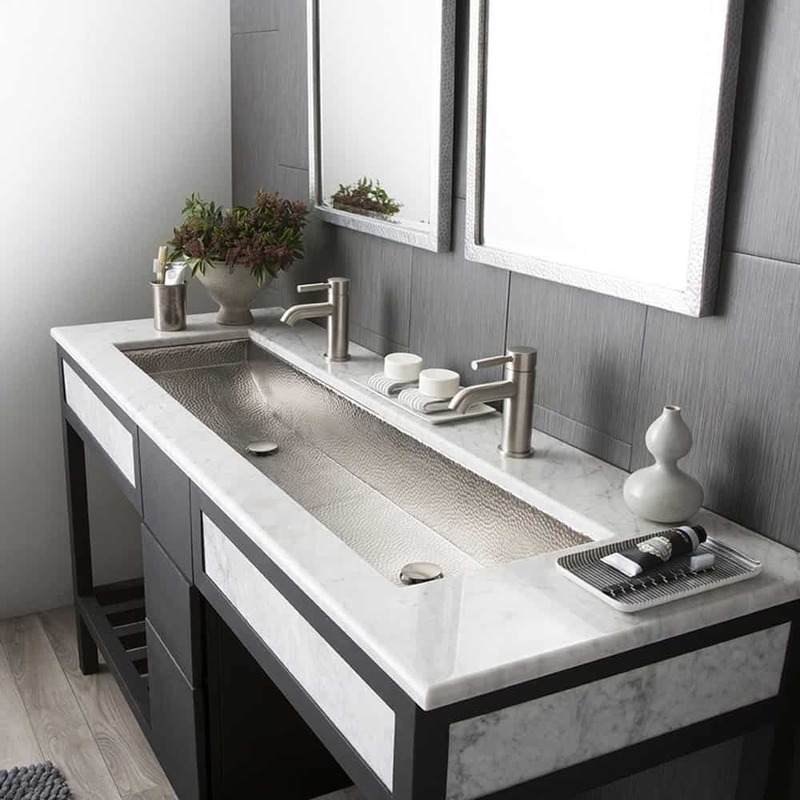 Incorporate a complementary sink, some stainless-steel accessories, and your own stylish accents and you will create a contemporary piece that will “pop”. Furthermore, you’ll have an amazing conversation piece, making your new bathroom a huge hit with those who visit your home. 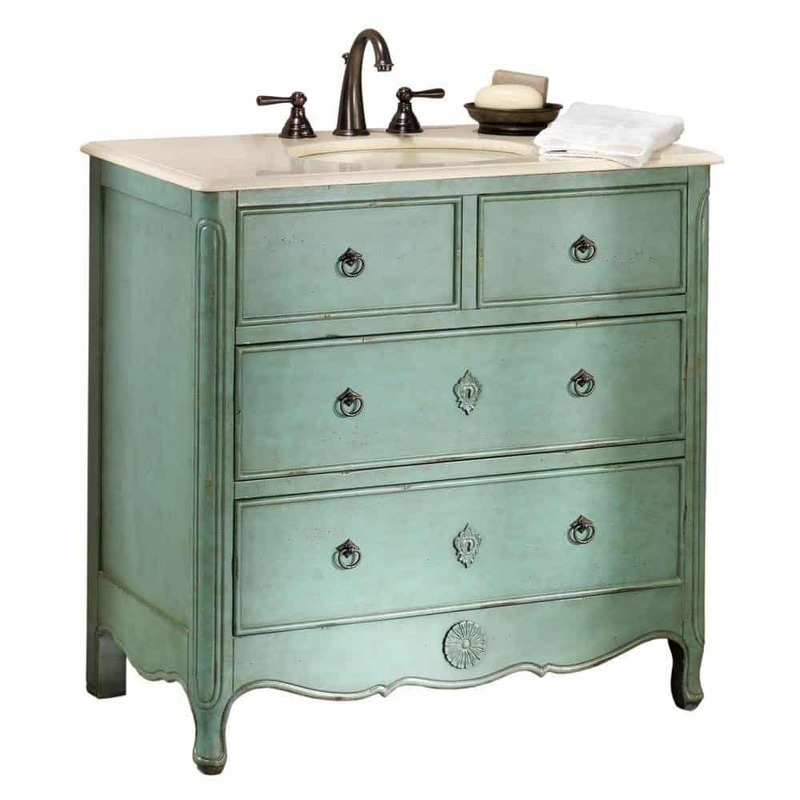 On the opposite side of the vanity style spectrum, we have Rustic Vanities. 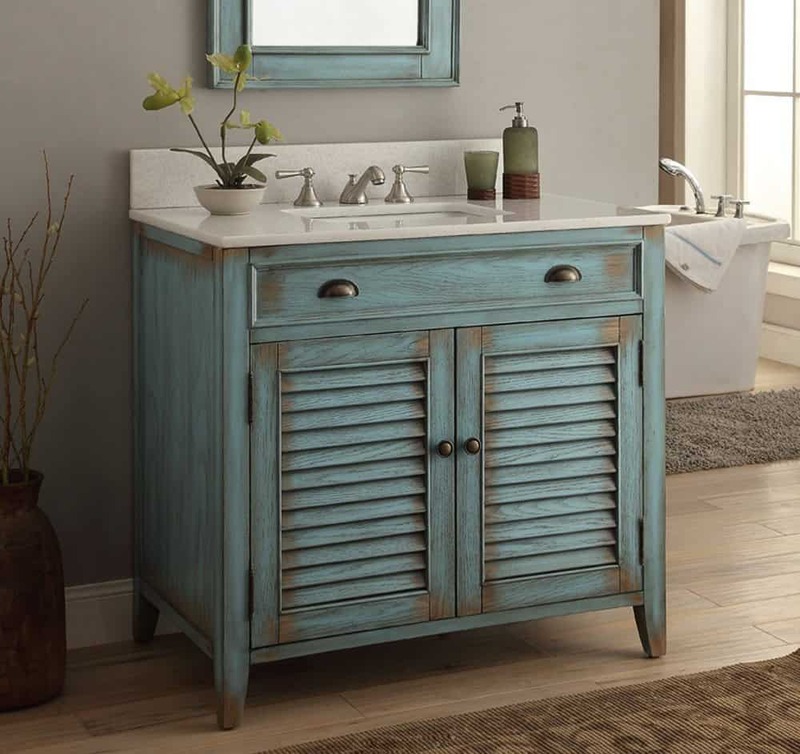 Rustic bathroom vanities are an attractive option for people who like unique bathroom designs. 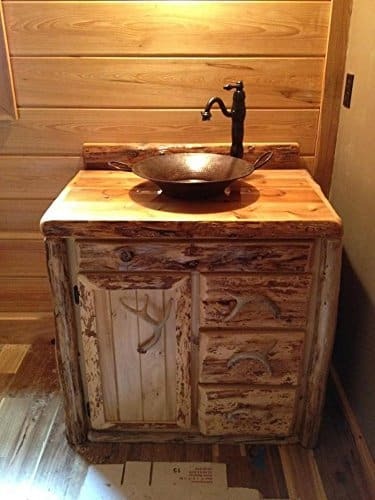 Rustic bathroom vanities are not only fashionable, but also durable, and fit with many other design schemes applied in houses. Wooden surfaces also blend well with a number of color schemes, making your bathroom easily adaptable. The rustic style is very distinctive. It uses a lot of wood textures and a subtle roughness to the furnishings. It incorporates salvaged and reclaimed or reused wood. This style is most popular in larger, older houses, farm houses, and cabins. But it can also be implemented successfully in smaller, newer houses as well. 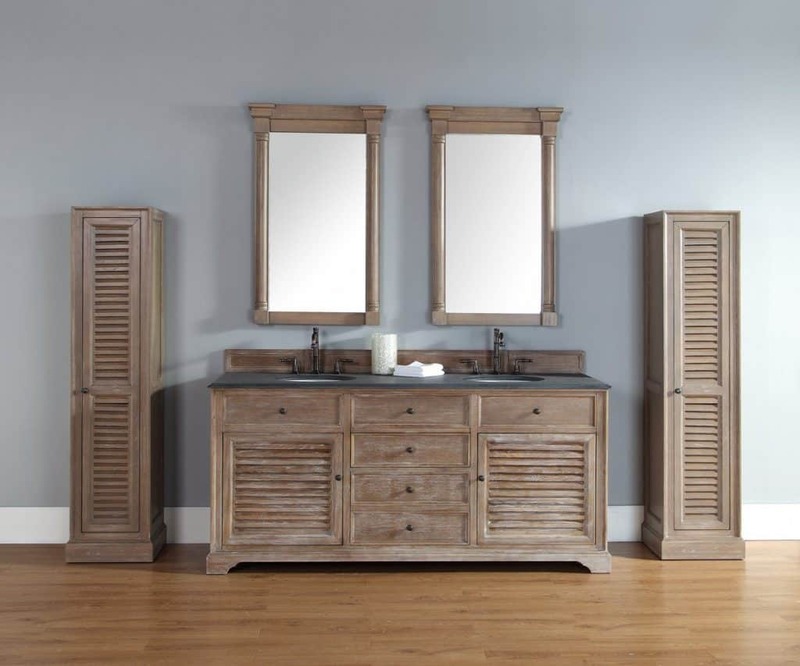 Rustic bathroom vanities generally include multi-functional furniture constructed from solid wood. 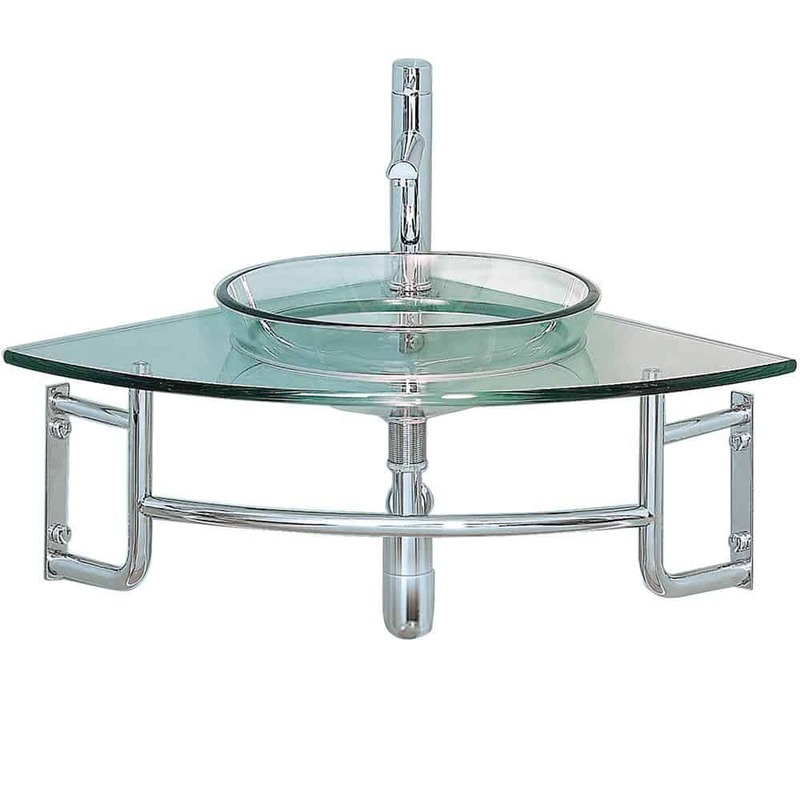 Repurposed furniture with salvaged fixtures and fittings also popular features of this style. 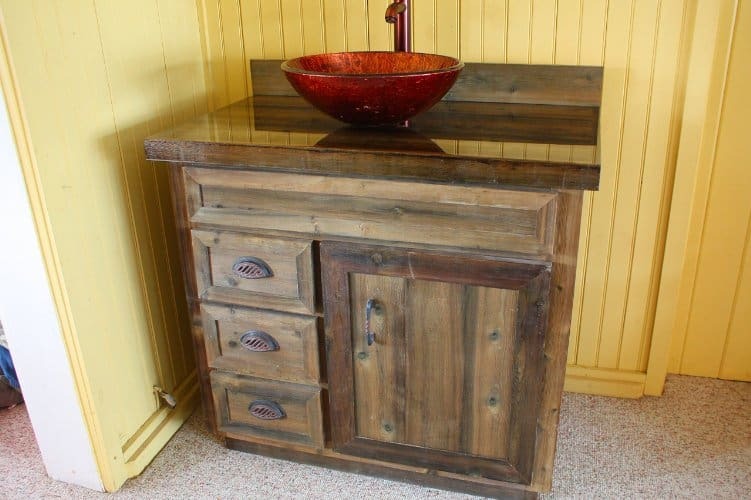 Lots of people build rustic vanities themselves. You can always adapt and redecorate or repaint wooden furnishings to suit your chosen color scheme and to achieve the overall atmosphere you wish your bathroom to have. So maybe consider searching for second-hand items as well as new ones. When you choose the wood from which your vanity will be made, it is important for you to not only choose a durable wood, but also one that is aesthetically attractive. Solid wood is generally much more durable than composite materials, especially in a bathroom, where there is lots of water which could potentially damage materials over extended use. 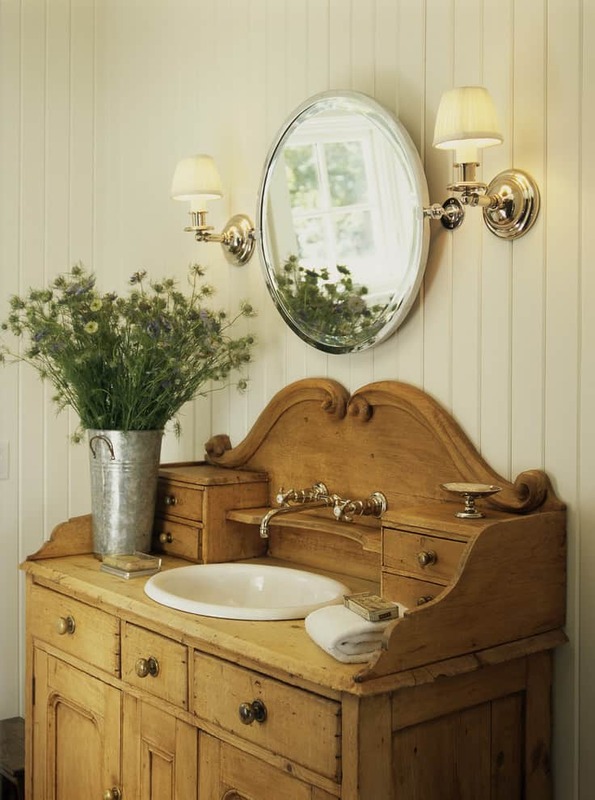 Teak, oak or cherry is often the wood of choice for rustic-style vanities. They are all durable and attractive. The texture of cherry is particularly appealing for bathrooms. Peruse any home decorating magazine and you’ll surely see a lovely bathroom space featuring a trough sink. 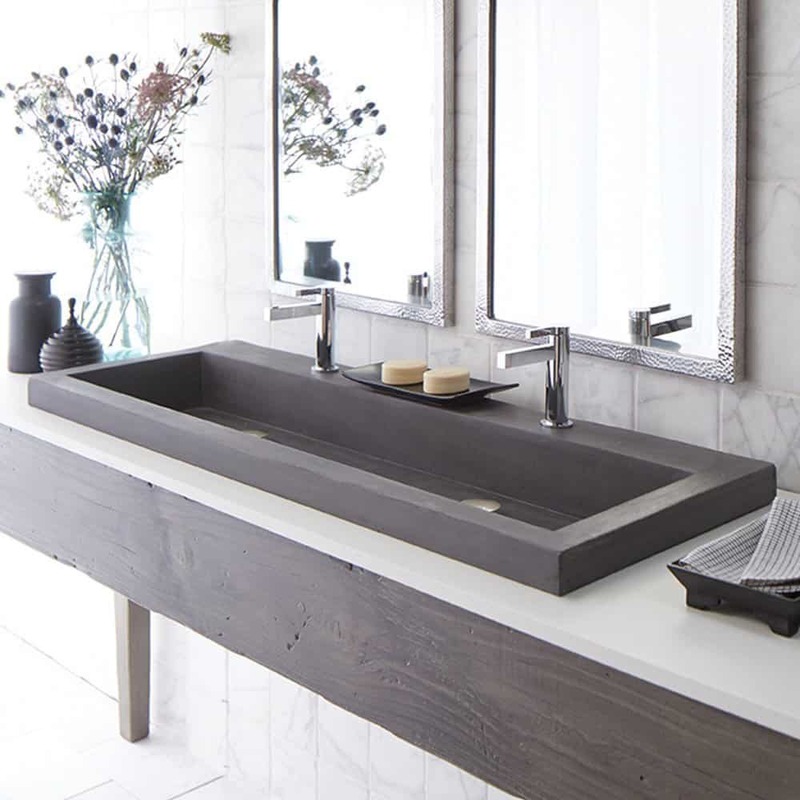 Trough sinks can go with contemporary or rustic styles which makes them a great option to choose. True, the idea of barnyard animals slopping at the farm yard trough may not really bring to mind a clean, functioning, and pleasant sink. But it will be the centerpiece of your sparkling bathroom. 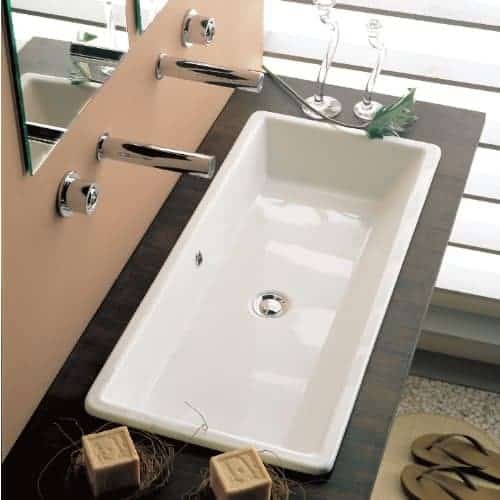 You will be interested to know that the trough sink was originally designed and used only in luxury hotels and other commercial establishments. These days, trough sinks area widely available to homeowners and they offer flexibility and distinct advantages. So, put aside those barnyard images. 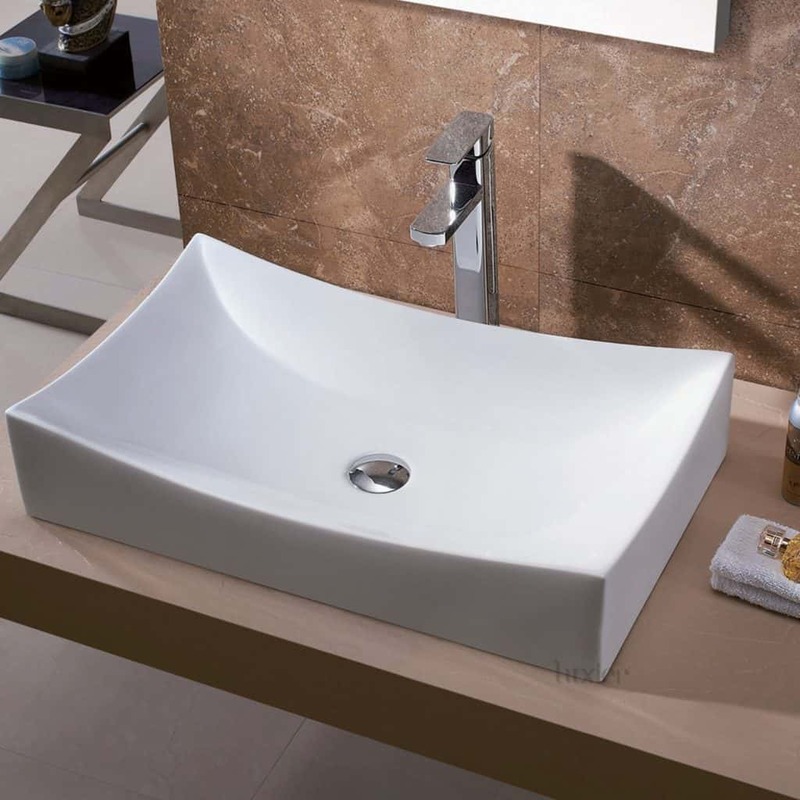 You can have a trough sink in your bathroom to create a very easy to use bath space with a very high-end look. A trough sink in your bathroom gives you a lot of flexibility and choices. The sheer size of a trough sink lends itself to having multiple faucets using the same, long sink. 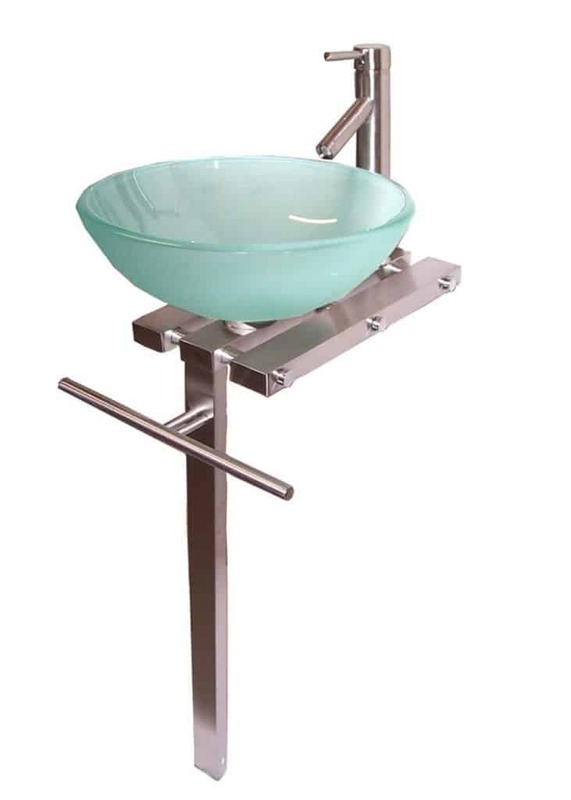 This means that having a trough sink in your bathroom offers multiple uses. A trough sink configuration is perfect for large families. Mornings, nights, and just regular bathroom breaks can be hectic and take a toll on the family bathroom. Picture that long sink with multiple faucets, allowing a few children to brush their teeth or wash their hands at the same time! This is a time-saver and anything that saves time in a large family is a huge bonus. Plus, we all know that kids tend to be messy. A trough sink can also be a mess saver for a family with kids because the design and size of a trough sink allows for the sink to catch much more of the water and other items that get away from them. So, you have less counter space to clean, thanks to that big, beautiful sink. 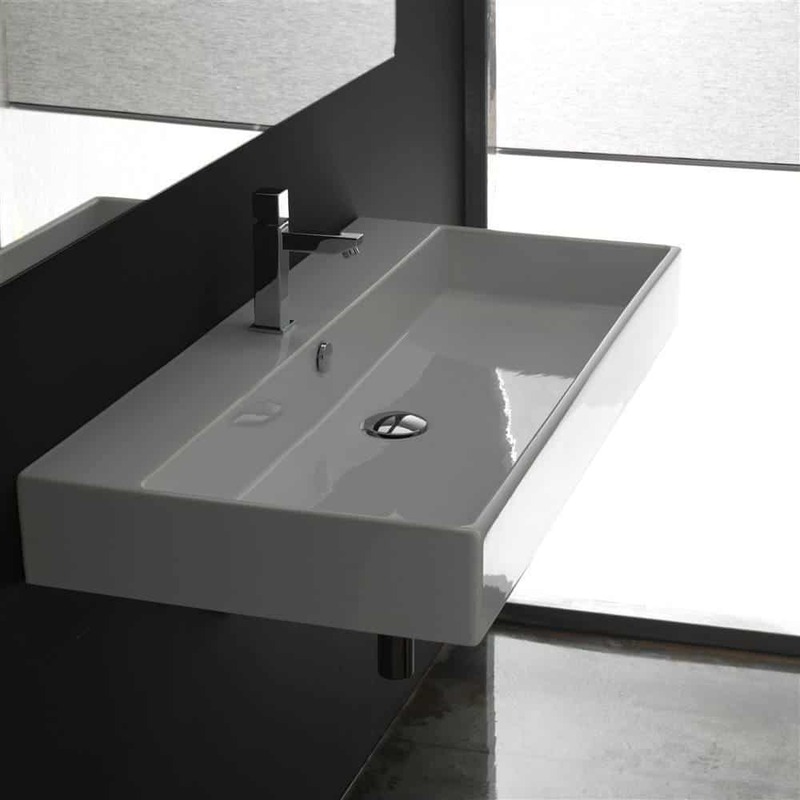 Trough sinks are also advantageous for master bathrooms, and are making their way into master baths with great frequency. A trough sink in your bathroom creates a very comfortable, ultra-usable bathroom space, with an eye for function, luxury, and style. 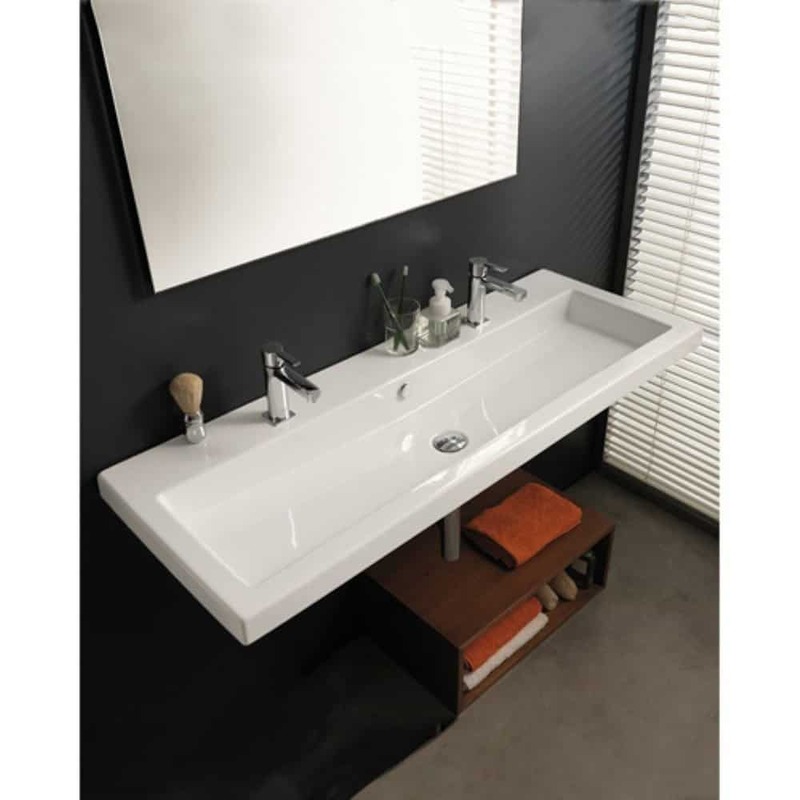 Are you and your partner looking for something other than the often used double sinks or double vanities? But you still want the ability to wash hands, brush teeth, and the like at the same time? A trough sink is your answer. With their sleek look and the ability to accommodate multiple faucets, the trough sink can offer you all the benefits of a double sink set up, while providing your master bath a fantastic and fresh motif. This means that you can forego the whole overused double sink, double vanity look for the chic, up-and-coming look of a trough sink. 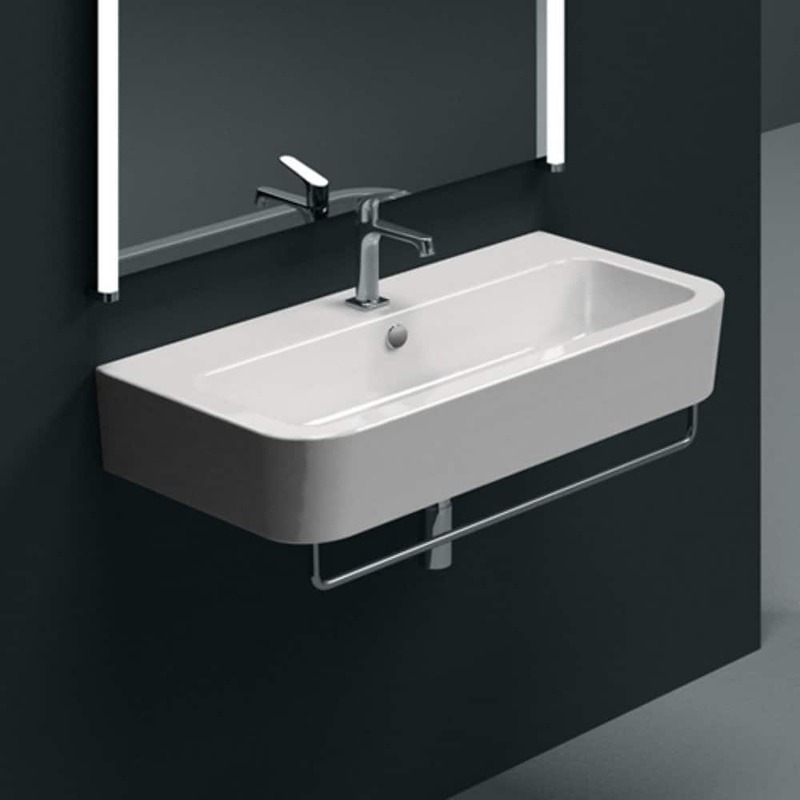 All of these positives are great reasons to put your preconceptions about trough sinks out of your mind and give these fabulously utilitarian and classy sinks a second look. Regardless of your contemporary or rustic style choice, you may have a small bathroom. 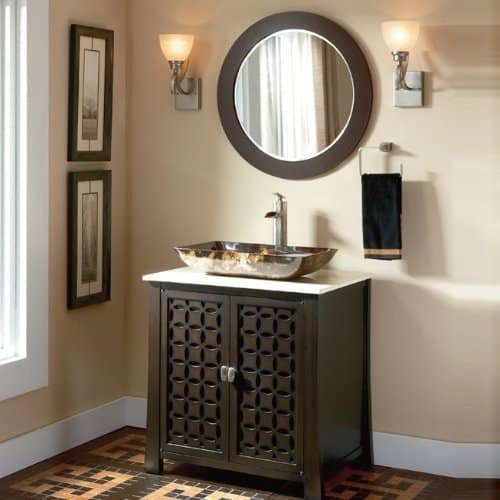 A corner bathroom vanity is a small bathroom vanity that fits snugly in a corner of your bathroom. 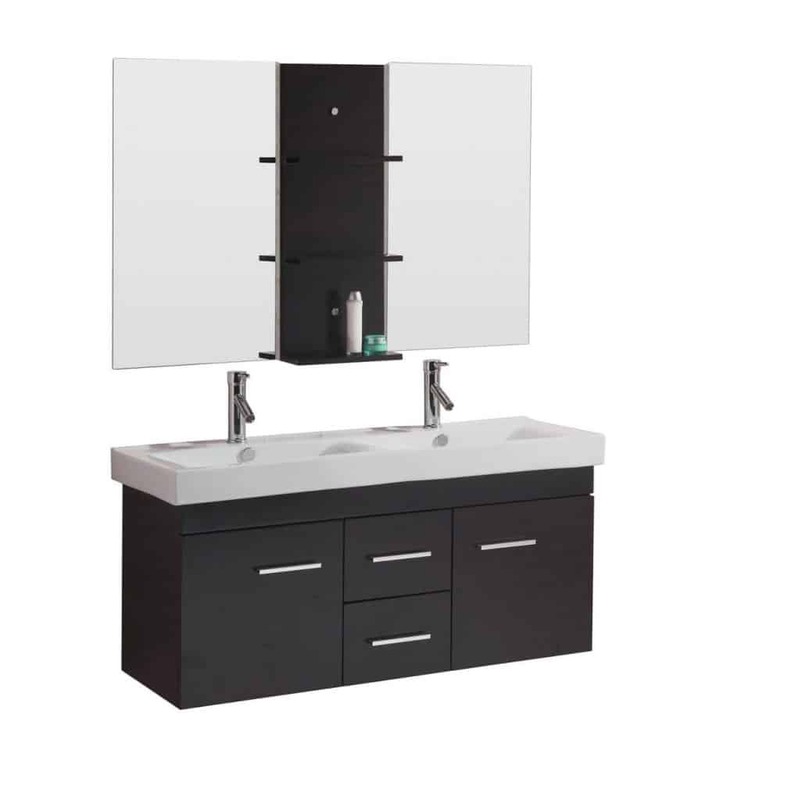 This is a small angled vanity with a sink and faucet, a small counter, and a bathroom mirror. They usually have a small cabinet or storage beneath where plumbing can be accessed. A corner vanity is small but it has a lot of uses that homeowners will really appreciate. A corner vanity functions just like a regular vanity except that everything is smaller. 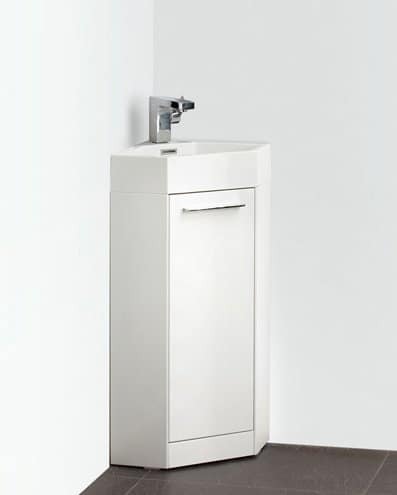 It is so small that it can fit in a small bathroom of an apartment unit or a condominium unit. At the same time, it provides enough space for other bathroom elements and accessories. A homeowner with a smaller bathroom will be able to enjoy all the conveniences of a normal vanity counter with a corner vanity system. 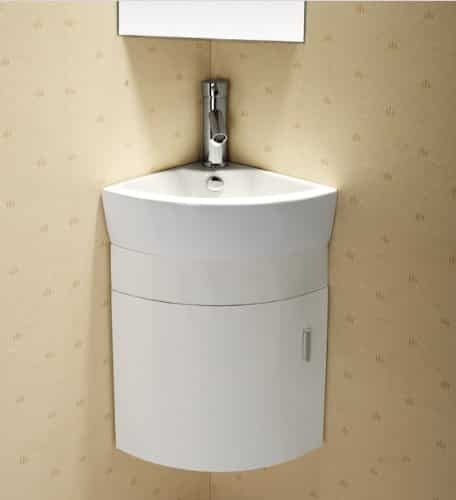 A corner system will fit small bathrooms and often comes pre-assembled. A homeowner can readily buy a corner bathroom vanity from a local home store and install it themselves. Corner vanities can be purchased in as a set. 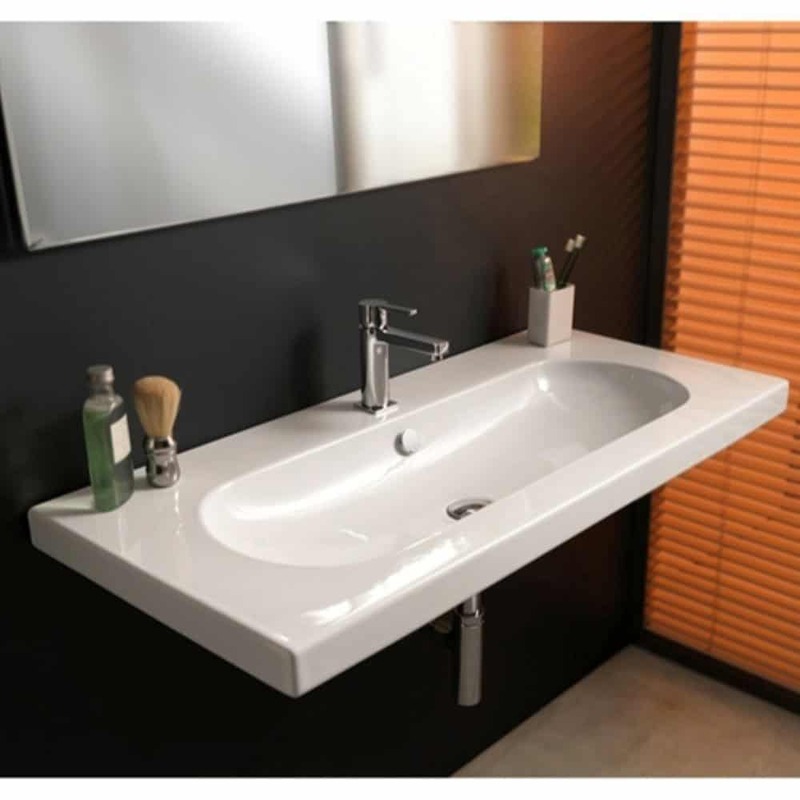 You can choose from different kinds of bathroom vanity faucets, the kinds of cabinetry, the materials used for the sink and the vanity countertop, the type, size and shape of mirror and the type of vanity cabinet. 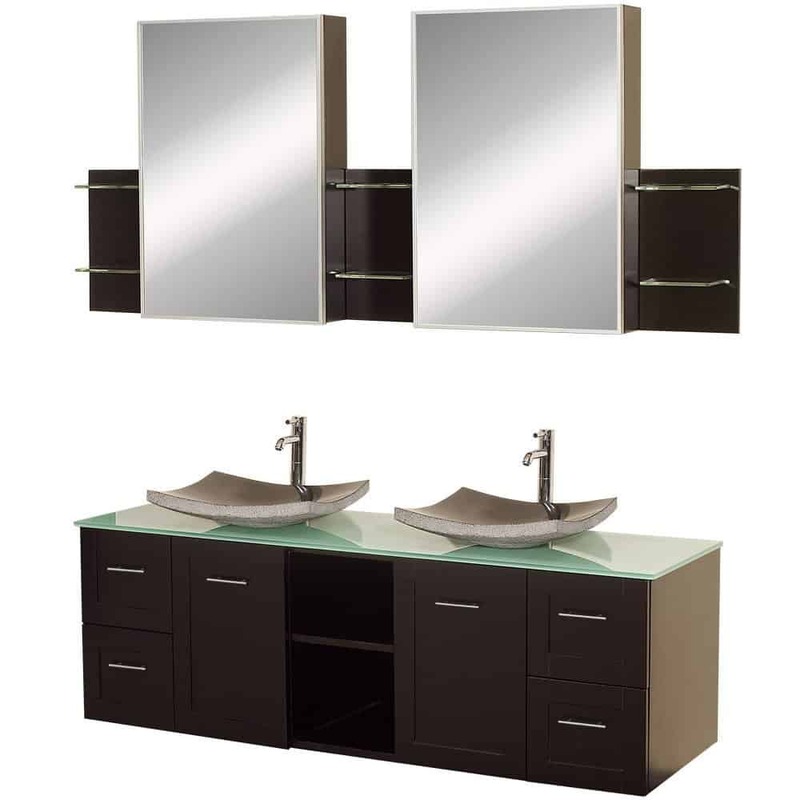 You can match a corner vanity system to the design of your existing bathroom. This type and size of bathroom vanity fits bathrooms that are relatively smaller compared to others. Bathrooms that you can find in apartments, RVs, guestrooms and in small homes may not enough space for a full-sized vanity counter and sink. 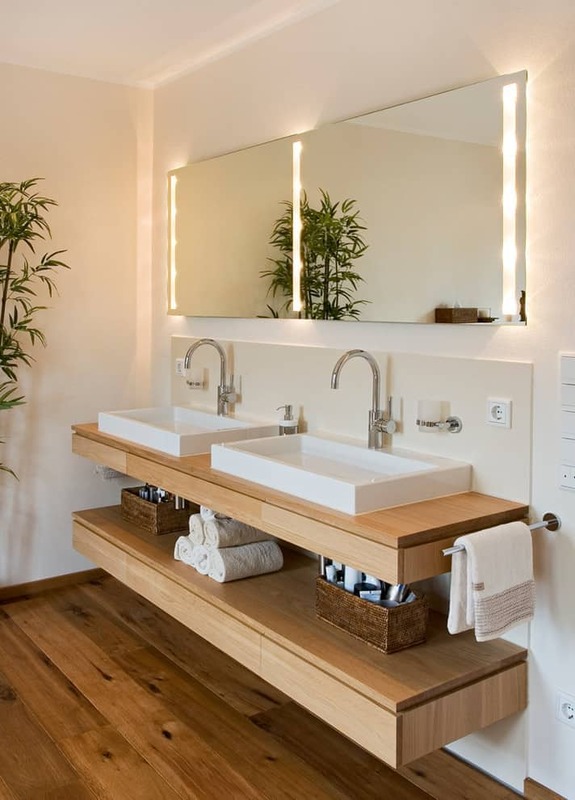 A small corner vanity will save space and provide the convenience of using a vanity, sink and mirror. You do not need to worry about cleaning a corner vanity since you barely have space to clean! 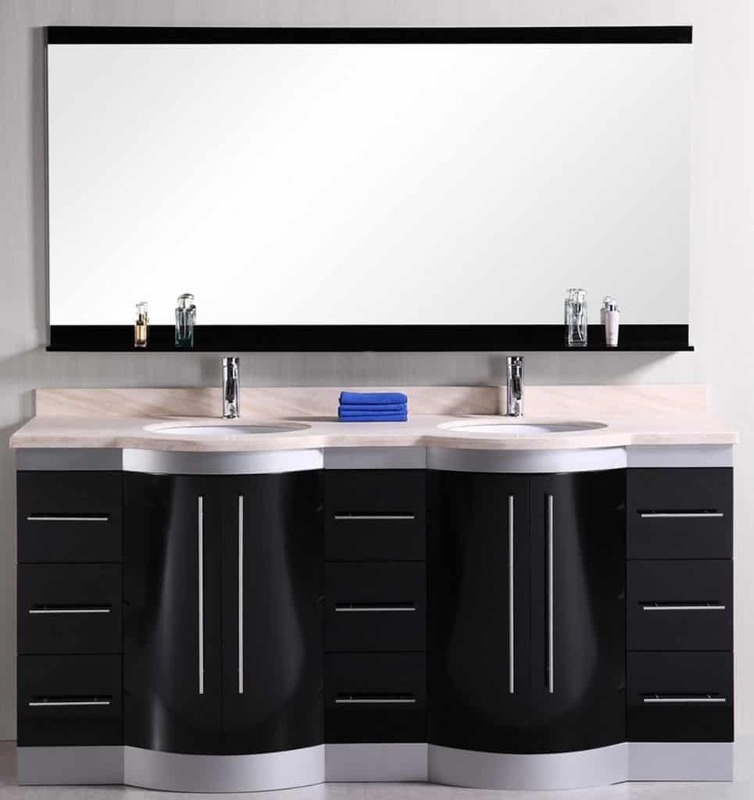 Most modern ready-made vanity systems are made of modern materials which make it strong and durable. It will even resist stains and grime. 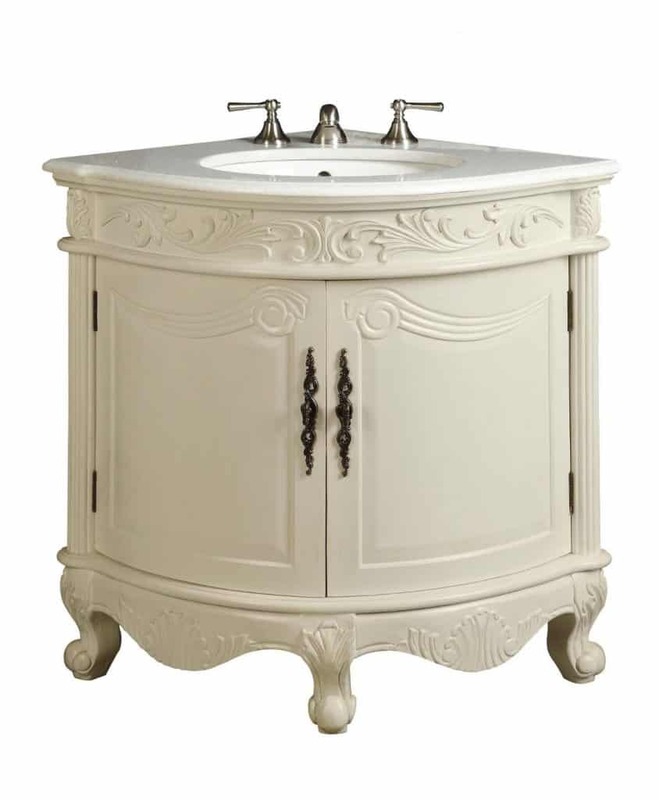 You can also choose to have your corner bathroom vanity custom-made. A contractor will need to take measurements to ensure that your corner vanity will fit. And of course plan for the appropriate materials to use. Custom-made corner vanities are more expensive than ready-made ones. 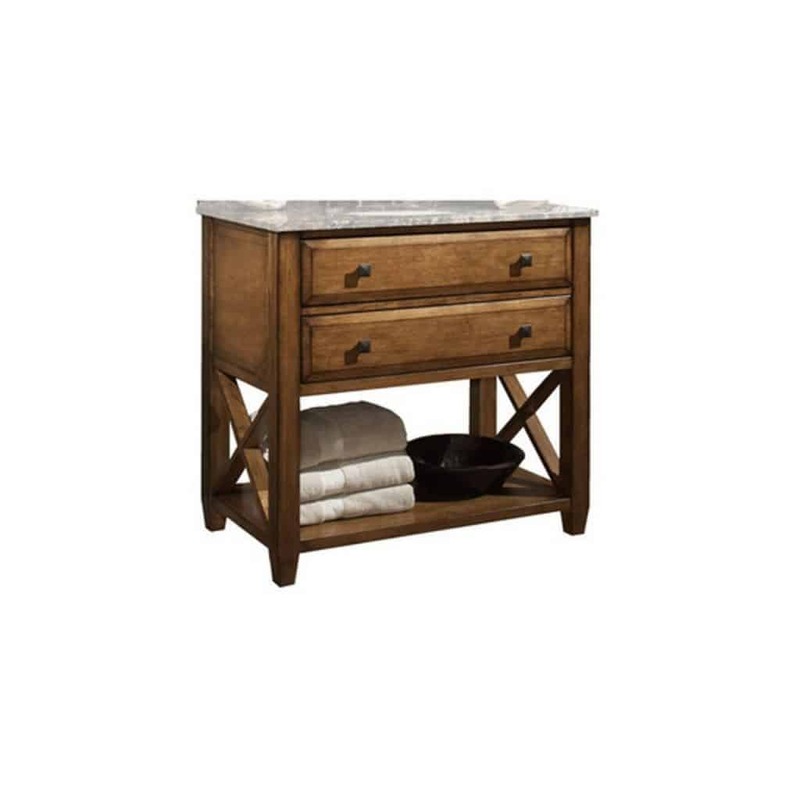 But you can guarantee that your custom-made vanity will fit perfectly in your bathroom. However you go about remodeling your bathroom, adding a vanity to your bathroom is a wonderful way to update your space for the 21st century. I’ve been wondering why it seems so difficult to find a 54″ bathroom vanity with two sinks. As a designer, perhaps you could provide some insight? There are actually a bunch on amazon. 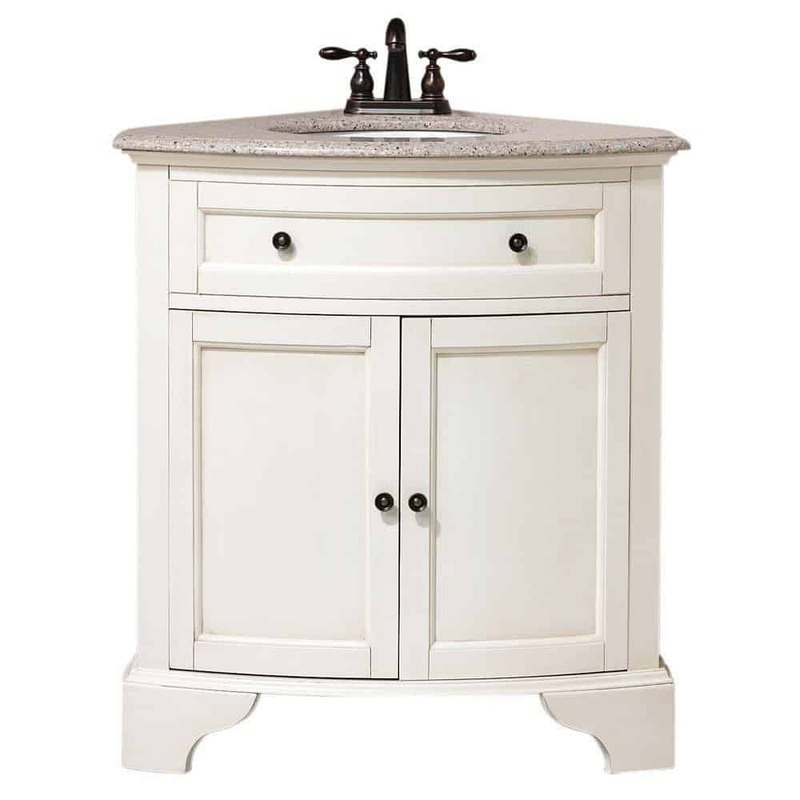 Looking for a 72 inch single sink bathroom vanity in white.